This post contains links to various Turkish language resources that I have collected. Please send a comment if you find Turkish resources that you would like to see on this page. This webpage provides the Turkish NLP Tools and API developed in Istanbul Technical University by our Natural Language Processing group led by Asst. Prof. Dr. Gülşen Eryiğit including a Tokenizer, Normalization tools, Deasciifier, Vocalizer, Spelling Corrector, Turkish word detector, Morphological Analyzer, Morphological Disambiguator, Named Entity Recognizer, and Dependency Parser. Taner Sezer's TS Corpus is a 491M token general purpose Turkish corpus. See comments below for details. Hasim Sak's page contains some useful Turkish language resources and code in addition to a large web corpus. 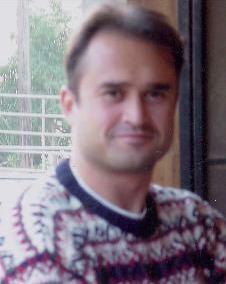 Özgür Yılmazel's Bibliography on Turkish Information Retrieval and Natural Language Processing. Turkish morphological disambiguator code. Slow but 96% accurate. See Learning morphological disambiguation rules for Turkish for the theory. Turkish morphology training files. Semi-automatically tagged, has limited accuracy. Two files have the same data except the second file also includes the ambiguous parses (the first parse on each line is correct). Turkish morphology test files, second one includes ambiguous parses (the first parse on each line is correct). The data is hand tagged, it has good accuracy. Turkish morphological tagger, includes Oflazer's finite state machines for Turkish. From Kemal Oflazer. Please use with permission. Requires the publically available Xerox Finite State software. Original Milliyet corpus, one token per line, 19,627,500 total tokens. Latin-5 encoded, in three 11MB parts. From Kemal Oflazer. Please use with permission. From Kemal Oflazer. Please use with permission. Turkish treebank with dependency annotations. Please use with permission. English-Turkish dictionary (127157 entries, 826K) Originally from www.fen.bilkent.edu.tr/~aykutlu. Emacs extension that automatically adds accents to Turkish words while typing on an English keyboard. Turkish English parallel text from Kemal Oflazer, Statistical Machine Translation into a Morphologically Complex Language, Invited Paper, In Proceedings of CICLING 2008 -- Conference on Intelligent Text Processing and Computational Linguistics, Haifa, Israel, February 2008 (lowercased and converted to utf8). The Turkish part of the dataset is "selectively split", i.e. some suffixes are separated from their stems, some are not. lm.tr.gz is the Turkish text used to develop the language model. Zemberek doğal dil işleme kütüphanesi. Abstract: Frequency counts from very large corpora, such as the Web 1T dataset, have recently become available for language modeling. Omission of low frequency n-gram counts is a practical necessity for datasets of this size. Naive implementations of standard smoothing methods do not realize the full potential of such large datasets with missing counts. In this paper I present a new smoothing algorithm that combines the Dirichlet prior form of (Mackay and Peto, 1995) with the modified back-off estimates of (Kneser and Ney, 1995) that leads to a 31% perplexity reduction on the Brown corpus compared to a baseline implementation of Kneser-Ney discounting. Deniz Yuret. Nov. 2012. Signal Processing Letters, IEEE. Volume: 19, Issue: 11, Pages: 725-728. DOI, URL. (Download the pdf, code, and data (1GB). Our EMNLP-2012 paper uses FASTSUBS to get the best published result in part of speech induction.). Update of Jan 9, 2014: The latest version gets rid of all glib dependencies (glib is broken, it blows up your code without warning if your arrays or hashes get too big). It also fixes a bug: The previous versions of the code and the paper assumed that the log back-off weights were upper bounded by 0 which they are not. In my standard test of generating the top 100 substitutes for all the 1,222,974 positions in the PTB, this caused a total of 66 low probability substitutes to be missed and 31 to be listed out of order. Finally a multithreaded version, fastsubs-omp is implemented. The number of threads can be controlled using the environment variable OMP_NUM_THREADS. The links above have been updated to the latest version. Abstract: Lexical substitutes have found use in areas such as paraphrasing, text simplification, machine translation, word sense disambiguation, and part of speech induction. However the computational complexity of accurately identifying the most likely substitutes for a word has made large scale experiments difficult. In this paper I introduce a new search algorithm, FASTSUBS , that is guaranteed to find the K most likely lexical substitutes for a given word in a sentence based on an n-gram language model. The computation is sub-linear in both K and the vocabulary size V . An implementation of the algorithm and a dataset with the top 100 substitutes of each token in the WSJ section of the Penn Treebank are available at http://goo.gl/jzKH0.